What happens if I paste numerous Tasks at once? 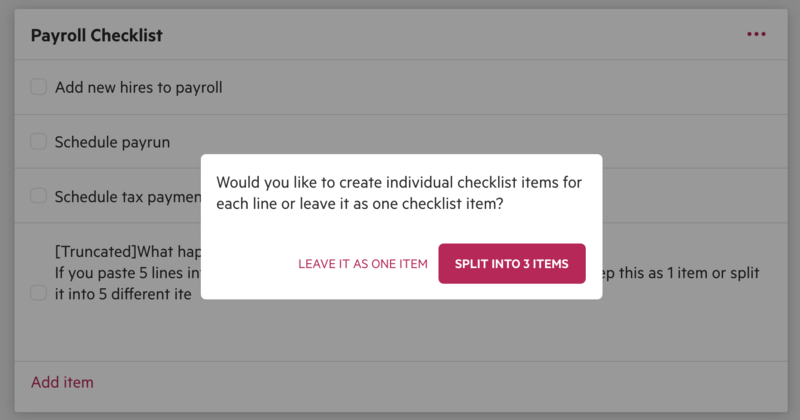 If you paste 3 lines into a Task list, Karbon will ask you whether you’d like to keep this as one item or split it into different items. If you select the first option, the spillover text will appear in the description. If you select the second option, the 3 lines will appear as 3 different Tasks.